Everyone knows I don't eat ripe bananas. But sometimes, I do force myself to have one especially if I need extra energy. Bananas are a perfect source of fiber and potassium. Fiber helps keep the body's cholesterol in healthy levels and also helps in combating obesity. Meanwhile, potassium helps lower blood pressure by reversing the negative effects of too much salt in the blood. 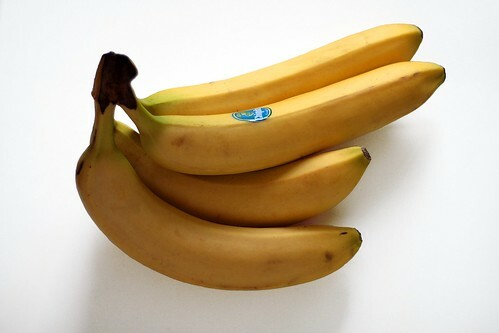 It becomes a problem for a diabetic if the bananas are overripe. Also, as with any other food, everything should be in moderation and that includes bananas. Well, the only bananas I eat wholeheartedly are the saba variety which is common here in the Philippines. I think the last time I ate a ripe cavendish was during a fun run I joined and I was given that as I was desperately looking for outdoor water fountains for drinking. So there, bananas are perfectly fine if taken in moderation and if they are not too sweet. The American Diabetes Association recommends half a cup of fresh fruit with lunch or dinner so better follow that. Also, do not eat bananas as part of a sugary dessert (e.g. banana split, banana cue, banana cake). Thanks for sharing your tips.. really awesome.. Bravo to you..